Choosing the best solar panel for your home depends on more than just size and cost but these are often the deciding factors for people when they start thinking about installing a solar panel system for their home. It is important to do your homework before making any choices or contacting specific dealers. Solar panel systems involve a large capital investment so you want to make certain you are receiving the best system fat the best price for you home. When beginning the process you should start by analyzing the cost to purchase and install the system against the benefits it will deliver in terms of the potential energy and carbon savings. Here are five important characteristics to consider in order to identify the best solar panel for your home. The size of your roof will determine how many panels can be installed. One of the most important things to evaluate is the solar efficiency of each panel. Panel efficiency is expressed as a percentage of the amount of electricity a single panel produces per surface area. The higher the number the more efficient the panel is and the smaller surface you will need. This figure is really important because the amount of power you can generate depends on the surface area of your roof and the efficiency of the solar panel you choose to use. The measurements or size of the solar panel you choose will ultimately determine the number of panels you will be able to install. It is important to engage the services of a professional solar panel sales professional and installer & SolarQuotes provider to help you understand how much weight your roof can handle and whether or not the panel system will meet local fire and building codes and work effectively and efficiently for your home’s location. Adding solar to your home is a major capital investment and will affect the value of your home. It is important to consider how the panels are manufactured and what materials are used in its construction. It is smart to look for manufacturers that fall into the top 2% Of all solar manufacturers because these manufacturers are vertically integrated, controlling every stage of the manufacturing process. This means these companies invest a lot of money into research and development and use advanced robotics. They also have a quality control process that covers every stage in the manufacturing process and they have been in the business of manufacturing solar panels for 5 years or more. These manufacturers use the best grade of silicon to produce solar cells which results in greater efficiency and durability of the solar cells. The most reputable solar panels will carry a warranty period of at least 25 years. When you choose a manufacturer make certain they are in a healthy financial state and will be around to service their products over the long term. Avoid small, fly by night companies. This industry is highly competitive and companies come and go all the time. Look for a well established solar company that has a solid track record of performance and financial stability. 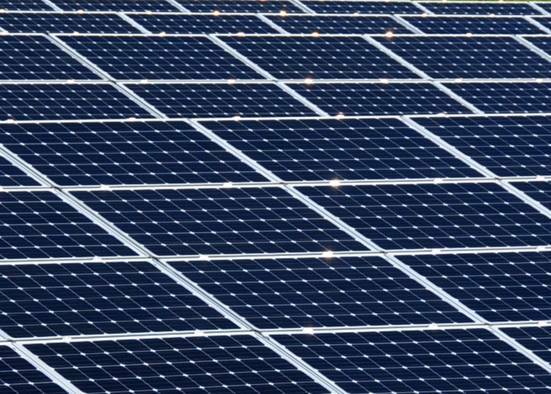 There are three types of solar cells used to manufacture solar panels: Monocrystalline silicon, Polycrystalline silicon, and Amorphous or thin-film silicon. Monocrystalline silicon cells provide high efficiency and good heat tolerance characteristics. Polycrystalline silicon cells are the most popular cells being used for residential installations because many improvements have been made in developing solar modules using these cells and now they offer equal or better performance in terms of heat tolerance, size and efficiency. Thin-film uses the least amount of silicon and tends to deliver the least efficient solar cell performance. Heat tolerance is another very important aspect of solar panel performance and indicates the range a panel will exceed or fail to meet its rated power. A positive tolerance rating means the panel will generate a specific wattage and even more under standard testing conditions. The temperature co-efficient is also important because temperatures impact a panel’s operation after installation. Look for panels that have a lower percentage per degree Celsius. The lower the percentage the better the performance and the less impact the temperature will have on the panel. Doing proper research and understanding the important characteristics of a solar panel will help you select the best solar panel for your home and location. It is always wise to work with a solar panel expert who can help explain the differences and someone who understands the local environment and solar market. A solar professional can also provide you with solar quotes so you can compare the costs to benefits of different solar panel systems. Next Next post: MTR: Big Win for the Good Guys!! !